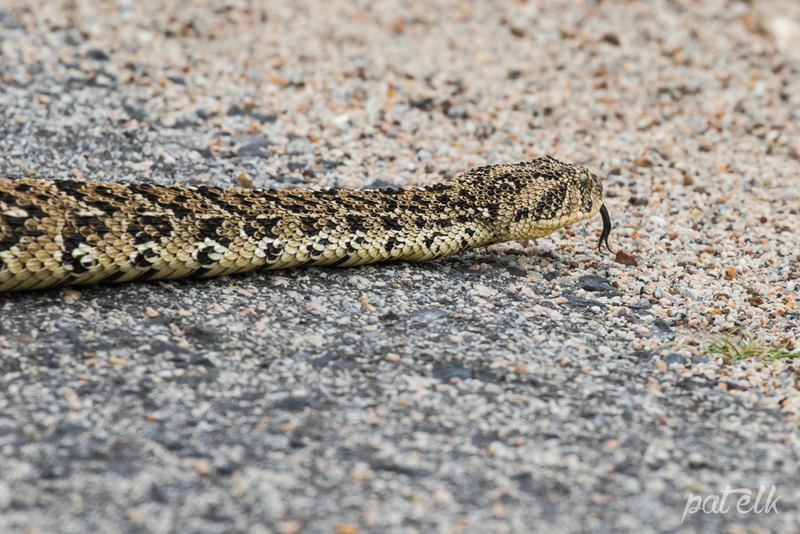 The Puff Adder Afrikaans name Pofadder, Zulu Xhosa name iBululu) is widespread throughout most of Africa, it is a thick sluggish snake that is normally well camouflaged. The body colour is hello-brown to light brown with dark, pale edged chevrons. 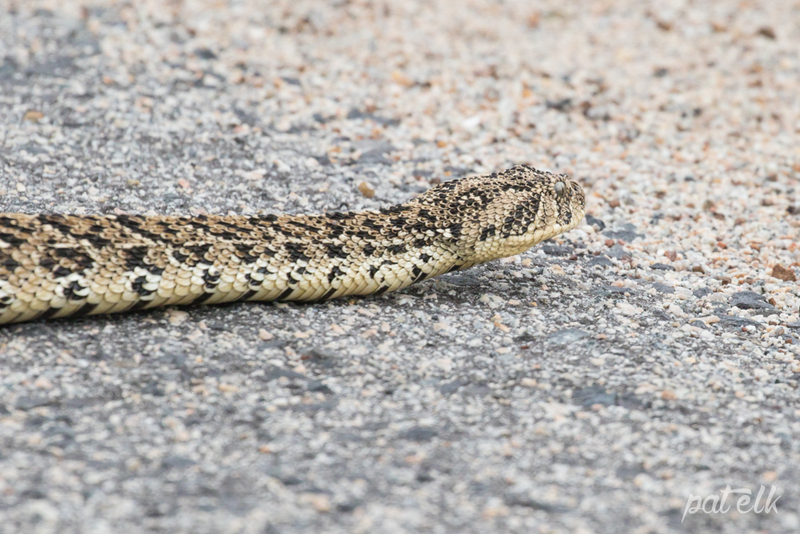 The Puff Adder is normally sluggish and can lie for weeks in camouflaged waiting for prey. Although sluggish they can strike amazingly fast and will bite willingly, their venom will cause swelling and pain and on occasion, death. 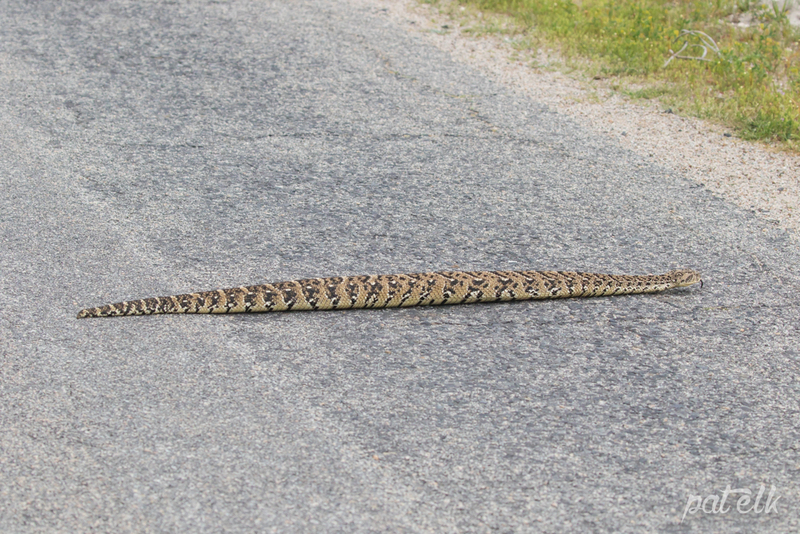 We saw this one crossing the road in the West Coast National Park.